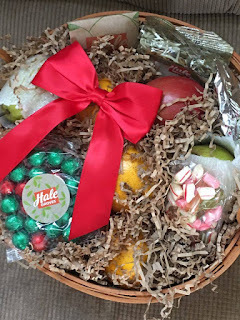 We recently received a Holiday Gift Basket from Hale Groves for a review. If you want to gift someone something healthy for any occasion, a fruit basket is a great idea. 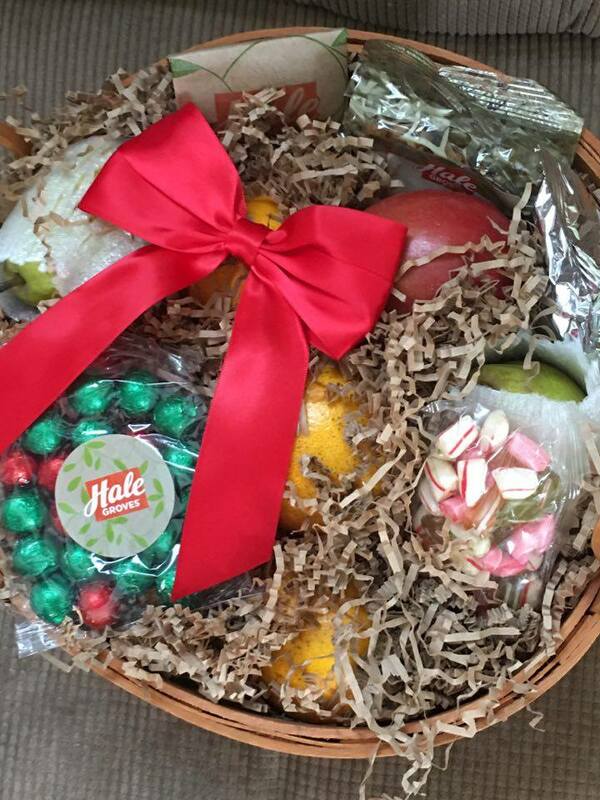 As we came to find out, a fruit basket from Hale Groves is even a greater idea. Our basket came packed as safely as could be. Look below, see how carefully each piece of fruit is tucked in to keep them fresh and perfect until they arrive. These fruit baskets from Hale Groves are beautifully arranged with the juiciest, most delicious oranges, apples, pears and grapefruit you will ever taste. We received some Honey Roasted Peanuts, Holiday Candy and Roasted Hazelnut Chocolate Popcorn with ours, the baskets of fruit are always paired with items that compliment the fruit. The fruit baskets are always fresh when you receive them because the fruit is still on the trees until after your order is placed. You are guaranteed freshness with every basket from Hale Groves. Thanks to the naturally rich soil, ample water supply and moderate climate of the infamous Indian River Citrus Belt. Hale Groves is supplying the richest juiciest most famous fruit you would ever taste. Hale Groves offers a variety of fruit baskets to choose from. They would be perfect for any holiday or special event. I'd love one anytime because they are just that fresh. A few examples to choose from are the Tea n' Honey basket, The Florida Turtle Bowl and Oranges, and The Deluxe Bountiful Fruit basket. Hale Groves offers convenient online ordering. They also have two retail stores in Wabasso, Florida and in Vero Beach Florida. No matter where your order is placed you will find the perfect gift basket for your needs. Hale Groves was started in 1946 by Steve Hale, who was inspired seven years before while visiting Vero Beach Florida. Steve was inspired by an elderly gentlemen with a self made business and complicated health. After observing all that the man did on his own from growing, picking, packaging and selling, also tasting the exquisite fruit himself, Steve knew he wanted this dream for himself as well. Over the years Hale Groves has grown tremendously as a national company. It is acknowledged as being one of Florida's leaders in the fruit gift industry. They are known for shipping high quality grapefruit, oranges, honeybells and other delicious products throughout the United States and Canada. 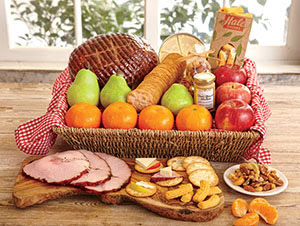 I recommend giving a gift of healthy deliciousness from Hale Groves. Being healthy is certainly a trending topic, and New Years is around the corner. Start off the new year giving the gift of health. You can connect with Hale Groves via Facebook , @HaleGroves , You Tube , G+ , Pinterest and Hale Groves Website . One word ~ delicious! I love gift baskets and tend to be greedy and hide them from the rest of my family! There is something special about a Florida orange in the depths of winter. Mmmmm. It looks like this was a truly delightful gift to receive. Back when I worked I used to buy a Hale Groves Fruit basket for a client!! They certainly looked forward to it every year! AND I have bought some for myself as well----I love the pears-so juicy! !